Functions making your life so much easier. Lock or unlock your door with a single tap – either on your smartphone app or through a connected smartwatch. 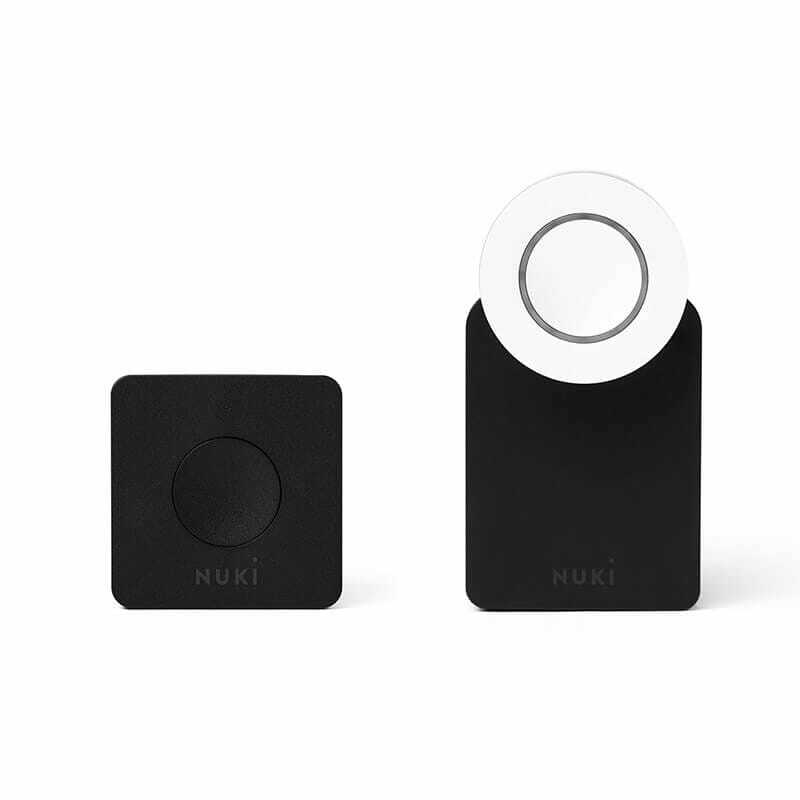 With Auto Unlock turned on, Nuki recognizes your phone without you even touching it and opens the door automatically when you come home. If you want Nuki to lock your door seconds after you left your home simply activate the Lock ‘n’ Go feature from your smartphone app or from the button on Smart Lock. Manage home access for your family, friends, guests, craftsmen or baby-sitter – on a permanent, recurring or one-time basis. By enabling Nuki’s activity log, the app gives you a complete list of whoever locked or unlocked your door, and when. Open for a handyman, dog sitter or deliveries, even if you are not home. Stay in perfect control of who came or left home while you’re at work, on the move or on holiday. Connect your Nuki with other smart home services to make your life more convenient. Nuki can be easily installed on the inside of your door, on top of your existing lock and key. Depending on the height of the lock cylinder, the Smart Lock can be clamped on it, or glued to the door. 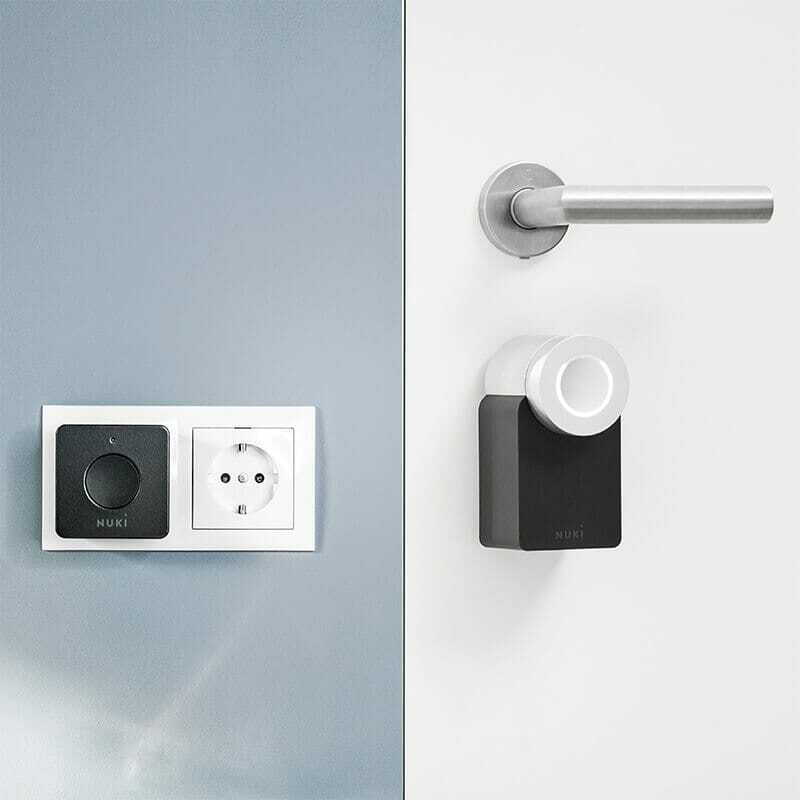 The key will be operated by Nuki as soon as you have configured your Smart Lock with the Nuki app. Watch Smart Lock installation video. 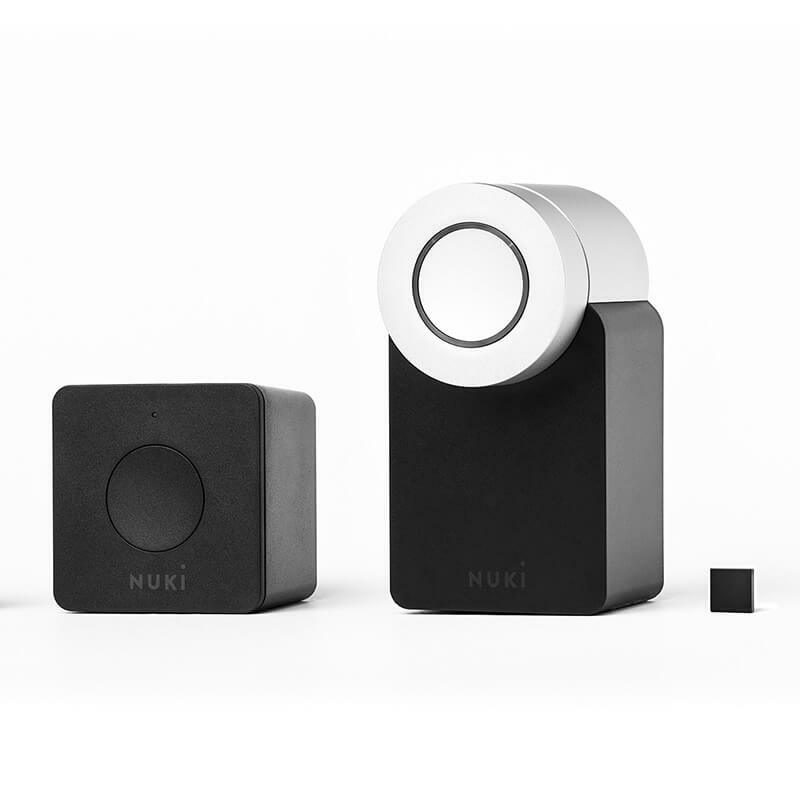 Put your Nuki Bridge in a power plug within 5m distance from your Smart Lock. That’s all – easy as pie. End-to-End-Encryption with Challenge-Response (equal to eBanking).